It’s surprising what you can do to improve your home’s value – and not every method has to involve an extension or loft conversion either (although these will often boost the value). We’ve put together a variety of home improvements (some of which can be done in a matter of hours) that will all have an effect on the amount your home could sell for in the future. It’s easy to underestimate the power a deep clean and tidy can have. This holds true for the interior and exterior as well. De-cluttering rooms makes them appear bigger, while the smell of clean surfaces is obvious to anyone who walks in. If you are planning to sell, make sure you clean everything from top to bottom before getting a valuation. Get rid of rubbish, de-clutter and watch out for anything that is broken and needs repairing or replacing. Give the lawn a mow, wash the windows both inside and out and weed where necessary as well. You can always hire someone to tackle the garden if you don’t have time to do it. If you want to make more of an impression and you’re not thinking about selling now, you might consider opening up your property a little. Providing that wall between the lounge and the kitchen isn’t structural you could have it removed to create one big space. Open plan layouts are practical, welcoming and yet can still be nice and cosy if dressed appropriately. 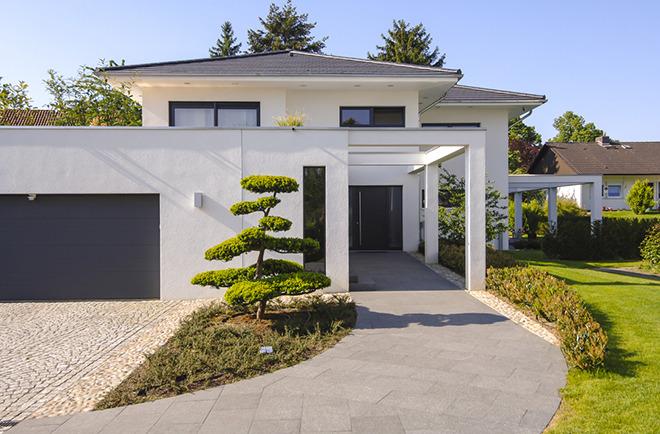 Extensions have always been a popular way to increase a property’s value, and for good reason. If you can add a room or two that will be practical, it will be reflected in an increased value. For example, a two storey extension featuring an office on the ground floor and an extra bedroom on the first floor would be very appealing. Another example would be to add a conservatory on the rear of your property. This can be used for all manner of purposes depending on requirements. It could be an office or even a dining room. This is one of the most important ways to increase your home’s value if necessary. For instance, if you don’t have double glazing or central heating, these two items alone will make a difference to how easily you can sell your home. People will view it and mentally set aside the amount of money (and all the upheaval) it would cost them to have these things installed. Doing it now will make your property easier to sell in future – and it will also be far more pleasant and much warmer for you until that point. If you have neither of these items now you’ll be surprised how much difference they can make to your heating bills. Perhaps the best course of action is to take an inventory of your home room by room. This will reveal which steps you could take first – and where they might lead.